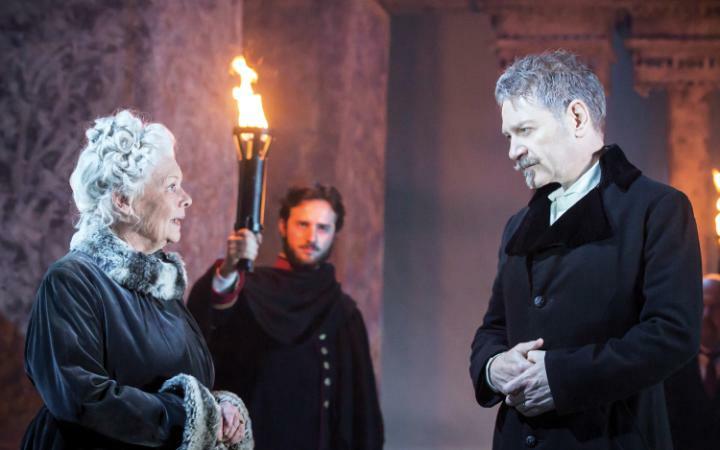 The ‘hottest ticket’ in world theatre at the moment is surely that for the Kenneth Brannagh Theatre Company’s run of The Winter’s Tale; I tried on numerous occasions to book a seat at a performance in the Garrick Theatre, but it’s ‘sold out’ for some time. I’m all the more delighted that Eugene and all at the SGC, Dungarvan, are screening live the performance of Nov 26th. 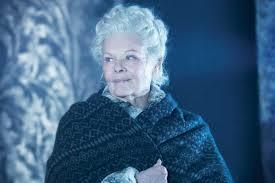 It stars Brannagh and the magical Judi Dench. Judi (like her slightly younger contemporary, Helen Mirren, is one of the adornments of world theatre. For many decades she has been a star of stage, screen, radio and TV, and in all those years, I doubt if anybody has ever seen her give a poor performance. I have privileged to have seen her in the theatre quite a number of times, and I’ve never seen a Lady Macbeth to equal her 1970s performance for Television. We simply must see her while we can, and I haven’t lost hope of coming by a ‘return’ for “The Winter’s Tale’ when I hope to be in London in early December. 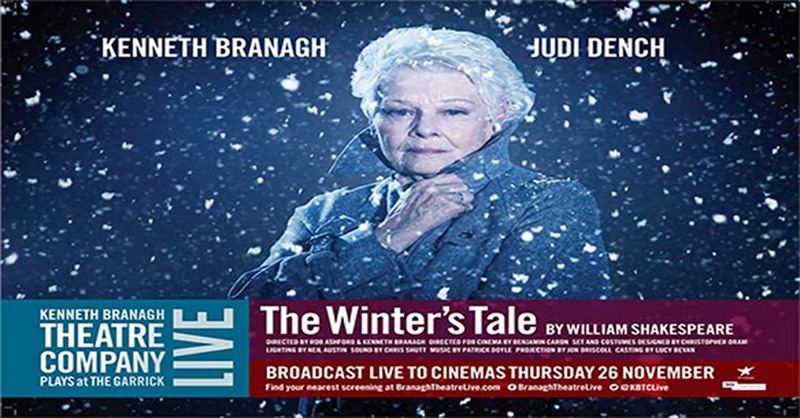 “The Times” review of Dench’s performance in this production said, inter alia :- “The real gift of the evening is a pair of wondrous performances by Judi Dench, aged 80, doubling up as the noblewoman, Paulina, and Time itself. … Paulina’s speech about time, which ushers in the bucolic episode in Bohemia, is exquisitely delivered”. Along with Dench, Brannagh (who has given many superb performances in Shakespearean roles) has assembled a very strong cast; he, himself, as King Leontes, Tom Bateman as Florizel, Jessie Buckley as Perdita and Miranda Raison as Hermione. The ‘Tale’ is one of its author’s late romances. Polixenes, king of Bohemia, extends his visit to King Leontes of Sicily, only at the request of the latter’s wife, Hermione. Leontes becomes insanely jealous and orders that Polixenes be killed. Hermione is imprisoned and a daughter who is born there (to her and Leontes) is, on Leontes’ orders, abandoned on the coast of Bohemia. The rage caused by unjustified jealousy reminds us of ‘Othello’, but here, on the surface at least, things turn out much better in the end’ (Incidentally, Shakespeare’s other great dramatic study of jealousy is the comedy, “The Merry Wives of Windsor”). It’s not too often we can see this haunting play and, also, for Judi Dench, I consider it to be unmissable. Handa Opera on Sydney Harbour has become a huge part of the cultural landscape, combining all of the things Sydney does best: world-class opera, champagne and fine dining, sunsets and spectacle on the harbour’s edge. It’s a monumental undertaking, with a team of more than 700 people involved in the project before a single note is heard over the harbour. Aida is the biggest opera they’ve ever performed on the opera stage. But amid all of the spectacle, the famous ‘Triumphal March’, battle scenes and ancient temples, there’s an emotional heart. Running time: Approximately 2 hours 25 minutes including a 15 minute interval. The ‘Beaux’: Mr Aimwell and Mr Archer, two charming, dissolute young men who have blown their fortunes in giddy London. Shamed and debt-ridden, they flee to provincial Lichfield. Their ‘Stratagem’: to marry for money. Lodged at the local inn, posing as master and servant, they encounter a teeming variety of human obstacles: a crooked landlord, a fearsome highwayman, a fervent French Count, a maid on the make, a drunken husband, a furious butler, a natural healer and a strange, turbulent priest. But their greatest obstacle is love. When the Beaux meet their match in Dorinda and Mrs Sullen they are most at risk, for in love they might be truly discovered. 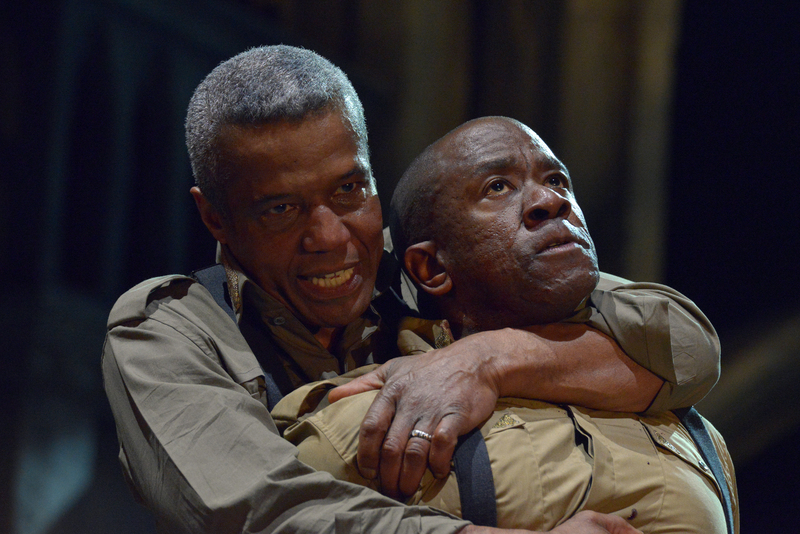 SHAKESPEARE’S ‘OTHELLO’ LIVE FROM THE RSC at The SGC, DUNGARVAN, WED AUG 26TH at 7PM. Recently, at the SGC Cinema Dungarvan, we saw “The Merchant of Venice” live from the RSC, Stratford-on-Avon; and it was superb in every way. So, I look forward eagerly to our next live screening from The Bard’s home town – ‘Othello’, on Wednesday, August 26th at 7 PM. Where better for a production of a Shakespeare play – each and every production from there has been superb. ‘Othello’, one of the world’s great plays, is fast-moving and memorable and has some of Shakespeare’s most magical poetry. ‘Othello’, is one of the four great tragedies of Shakespeare’s maturity (King Lear, Macbeth and Hamlet being the other three). Written in 1602/3, ‘Othello’ was first performed at the Banqueting House, Whitehall, London on November 1st, 1604 and “was many times acted at the Globe and at the Black-Friars”. The title role is one of the greatest and most demanding in the theatre, and there is no actor who would lightly pass up the part of the gifted but naive military commander. The role of the villainous Iago is also much sought after because he is the evil schemer in the play – one of the most malevolent personages in all literature! 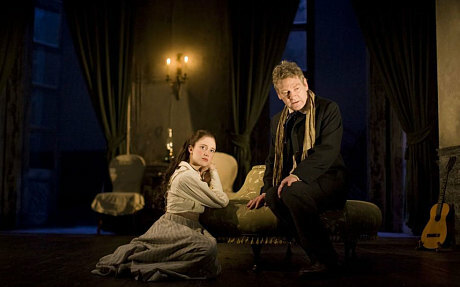 The other main character is Desdemona, one of the most admirable and most wronged of women. Her fate is almost unbearable in its poignancy. 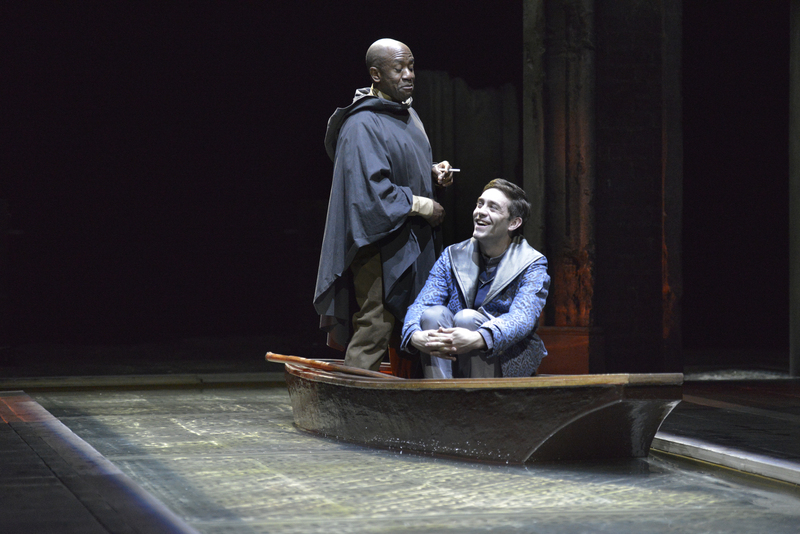 After Act 1, which is set in Venice, the rest of the play takes place in Cyprus. Othello, a victorious Venetian general, elopes with and marries Desdemona, daughter of Brabantio, a Senator, who is opposed to the marriage. Iago, foul-mouthed but seemingly honest, is jealous of the recent promotion of his rival, Cassio, and vows to bring about the latter’s downfall. And it is Iago’s deviousness in doing this that sets in train the tragic events of the play. 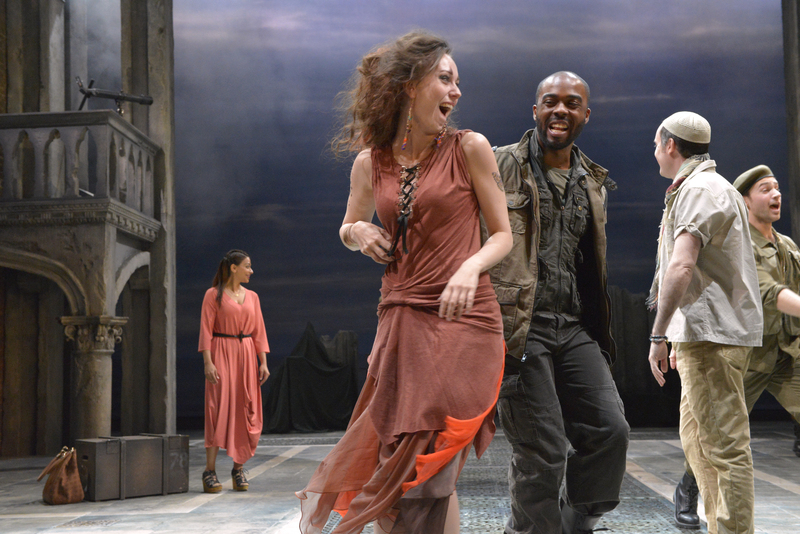 If you love the theatre, this haunting and pitiful play, ‘Othello’, from the RSC is not to be missed. Building Jerusalem, a theatrical documentary, charts the dawn of modern rugby with Sir Clive Woodward at the helm, culminating in England’s glorious World Cup Victory in 2003. 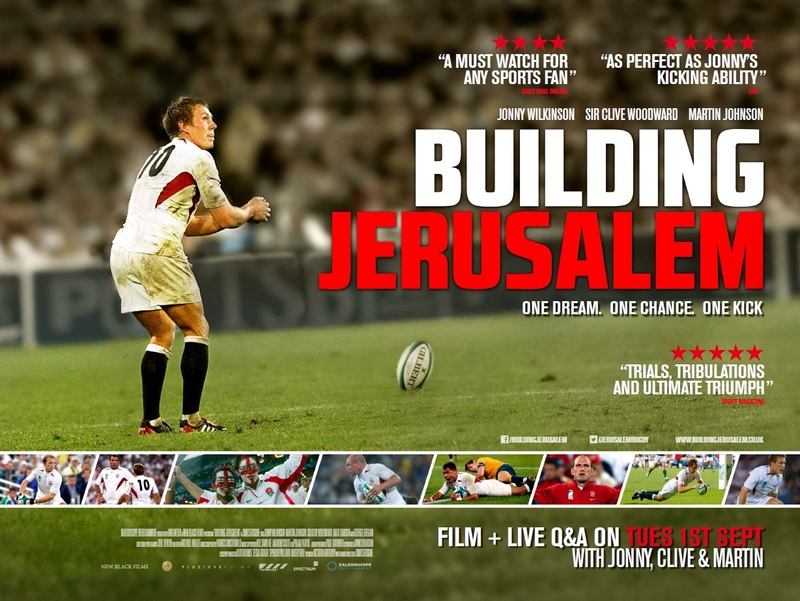 Combining exciting match action with news & ‘behind the scenes’ footage, Building Jerusalem tells the dramatic highs and lows through the eyes of those who were there: players, coaches & journalists including exclusive interviews with Jonny Wilkinson and Martin Johnson. Building Jerusalem is directed & written by Emmy-nominee James Erskine ( Pantani: The Accidental Death of a Cyclist, Torchwood) and produced by Oscar-winner Victoria Gregory (Man on Wire, Senna) and marks the third of their trilogy of films about English sporting legends, following on from 2010′s One Night in Turin and 2011′s From the Ashes. It is produced through New Black Films who are one of the world’s leading sports theatrical producers & have extensive experience of bringing sporting stories to the big screen.